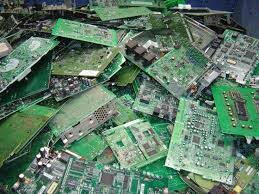 We present a wide range of Computer Motherboard Scrap that we obtain from reliable sources of the domain. Our Computer Motherboard Scrap is derived and processed by employing advanced technologies. The available Computer Motherboard is E-De-manufactured into metallic and non-metallic parts for their re-use and recycling. We are a well-known Computer Motherboard Scrap Exporter and Supplier from Thailand. Buy them from us at reasonable prices.